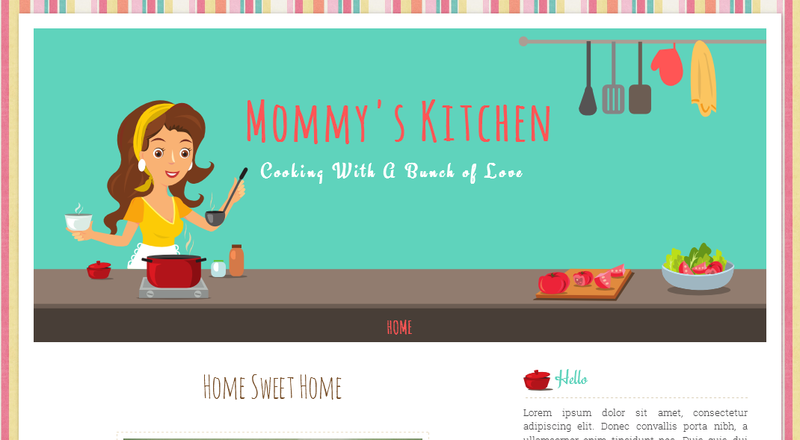 Special for stay at home mom or every woman who loves cooking, Mommy's Kitchen, a cute free premium blogger template. A fancy and colorful stripe as a background template, beautiful woman cooking with her cooking stuff on table such as pan, bottle, tomato, vegetables. Use this kitchen blogger template for your food, cooking, kitchen blog. Please preview this cooking blogger template HERE and download XML file HERE. Note that there's a download button on right top page. Do not copy the file but download it then follow this instruction How to Install Blogger Template.